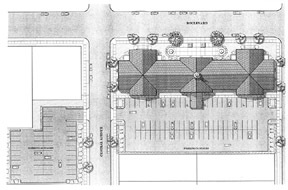 Proposed [Architect Drawings] of New Municipal Complex (larger images). Initial location plans [Boro Hall Press Release] August 16. August 15 M/C meeting scheduled to discuss Municipal Complex Postponed. [Library/Sr.Center] Original plan for land useage. On July 11th, Mayor & Council contracted Ernest Del Guercio, Jr. to act as property appraiser to advise about possible sites for a new municipal building. [Police] operating Franklin School Gym parking lot. 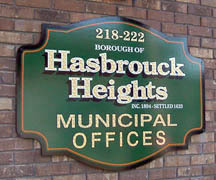 Mayor & Council Meetings -- Second and Fourth Tuesdays at 8:00 p.m.
Board of Health -- Second Wednesday in month at 7:30 p.m.
Municipal Court -- Held Wednesdays at 1:00 p.m.